A huge thank you to everyone who has sent emails and letters in to us. We really appreciate your comments and hope to continue providing fun and enjoyable courses for all. We look forward to seeing you again very soon out on the water! I just wanted to say thank you so very much for supplying strata five and Ed yesterday for the purpose of some promotional filming for the guide dogs for the Blind Association, it was very important to me to be able to do this as a guide dog user and to promote Guide Dogs to other visually impaired people. My thanks to Ed, he was a great skipper, to pate and to Amelia for making the arrangements, at this time of year, I really could not have done this without you. Thank you again. 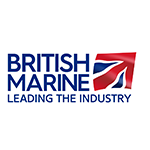 We have two beta marine engines about 3 years old and 4 fuel tanks. We heard a funny engine noise from starboard engine but no way could we take a look and somehow we sputtered up the Dunkirk channel and in to YCMN marina. We looked and found the starboard filter stuffed, which had obviously come from a stirred up old starboard fuel tank. After attending Peter's Diesel engine course I insisted on having Racor filters fitted on my boat so Rodney rather grumbled but had the same fitted to his boat at same time. It really was cross flow on Racor filter that saved the day. Our old filters would never have coped. On way home we swapped over to a new fuel tank and the engine was fine. I recently completed my ICC qualification with East Anglian Sailing School on a stormy April day. The test was carried out on a clean and comfortable vessel by a very friendly and accommodating instructor/ examiner. On the day in question due to unforeseen family circumstances we had to bring our 9 year old and 19 month old along and the School could have not been more helpful and facilitated all of our needs. We have spent a good few years now sailing in Greece and the course focused our minds on where we needed to brush up. I would highly recommend East Anglian Sailing School for both practicality and professionalism. I've just spent a brain busting but very enjoyable 6 days in your classroom completing the Yachtmaster Offshore theory with Ed as my instructor.I own a 42' motor boat moored in Lowestoft and I work with Eastern IFCA.I would just like to thank East Anglian Sea School and in particular Ed for a thoroughly informative and enjoyable course, his practical explanation of the theory is a great strength as is his calm confident manner.See you soon for my Coastal/Offshore practical motor boat exam. We had the most amazing time with Brian. A very high standard of instruction and empowerment! 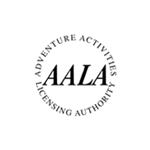 I have an additional adult teaching qualification and was extremely impressed with Brian’s professional delivery and high standards! Pete and our younger son are keen to find time to come along to meet him too! The whole experience was excellent! The new logo for the shirts is impressive particularly for Rob who clocked it immediately. Just a quick note to say what a wonderful time we had last week with Keith and crew, in particular Keith is an excellent skipper and host, and Strata 5 was perfect. Would definitely be looking out for similar events in the future and would thoroughly recommend anyone getting out there and doing this. 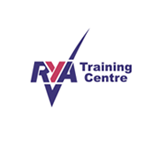 I just completed a RYA diesel course with you. Please let your principal know that I thought the course excellent. I would particularly like to thank Lindsay (and Callum) for making it such an informative and enjoyable day. I know a great deal more now and have more confidence of being able to look after my engine and sort out most problems should they arise. I just wanted to say that I really enjoyed the start yachting course and despite being a total novice felt like a member of the crew. The tuition was excellent and I now have a real taste for taking my sailing further-hopefully competent crew and beyond! Although I think I'll stick to sailing in the spring summer for a while, the hailstones were a bit much. Our 'crew' was two Day Skippers (both dinghy sailors) & one competent crew, plus Nick as our instructor.Certainly the luck-of-the-draw on fellow crew plays a part but high praise to Nick for getting everyone to quickly gel together & promoting a safe & fun environment for the 6 days.Weather conditions certainly influenced what we was achievable & realistic on a daily basis, but I remain extremely impressed with how Nick managed to quickly asses our individual and team skills & experience and ensure each days activities provided real challenges and learning opportunities for all crew members. Nick's calm approach and confident guidance permitted a high-degree of 'hands-on' and I know I also speak for the other crew members in saying this is exactly what we sought from this type of course.I had high hopes & expectations for the course & walked away having had both exceeded - somewhat rare in today's world.Many, many thanks to East Anglian Sea School, and hopefully in future UK visits I will be able to attend other courses. I would like to pass on my very favourable sailing experience with your instructor Julian. (weekend 5/6 September).Julian is both patient and very thorough. On the water he guides and consolidates actions and on land he explained the theory aspects exceptionally well - I feel I have progressed under his guidance.I can really recommend his tuition and care.